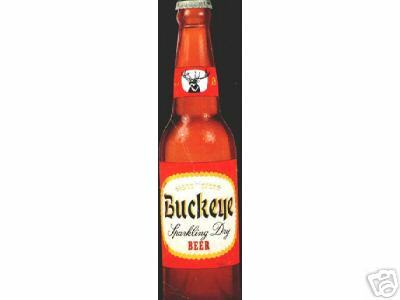 This is the hardest of the bucky glasses to find. 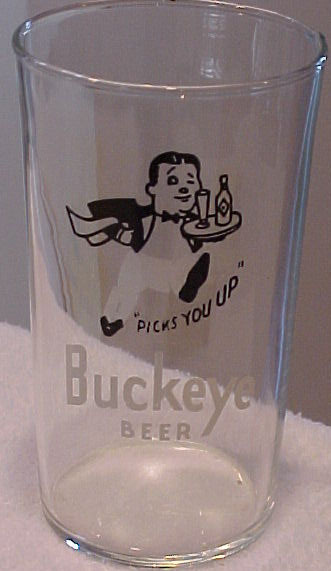 It is the small beer chaser glass from the late 1930' early 1940's. 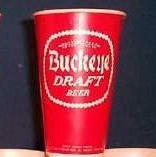 This is a Buckeye beer blotter from the late 1950's early 1960's. This blotter is getting hard to find. Blotter measures approx.9 1/2 X 12 1/2. Has been creased but is free of tears and marks.